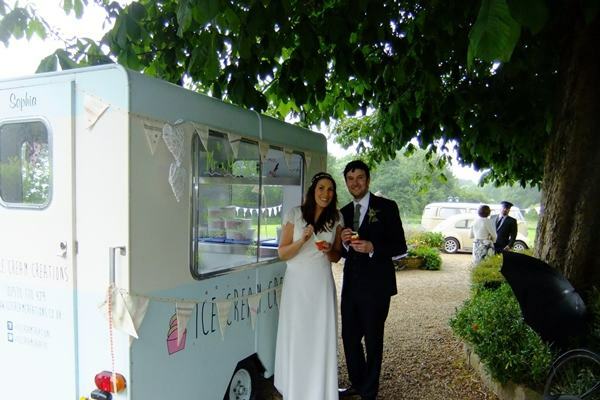 Ice Cream Creations Loves Adding Our Sparkle To Weddings! 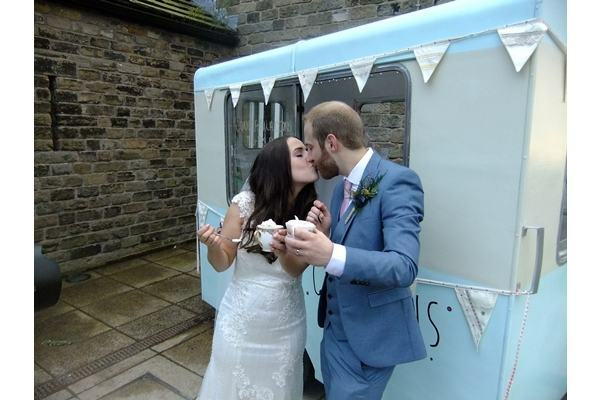 We serve delicious ice creams, with photo fun opportunities and memories to cherish! First Class Service with a Smile! 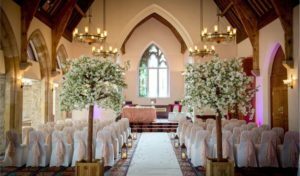 Prices Starting From £245 get in touch, we are waiting to hear from you. 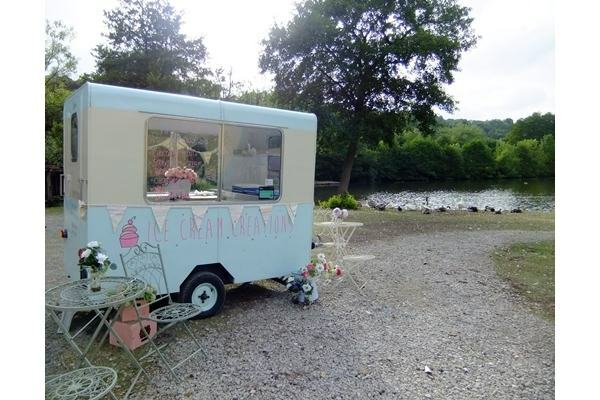 "I can not recommend Ice Cream Creations enough. 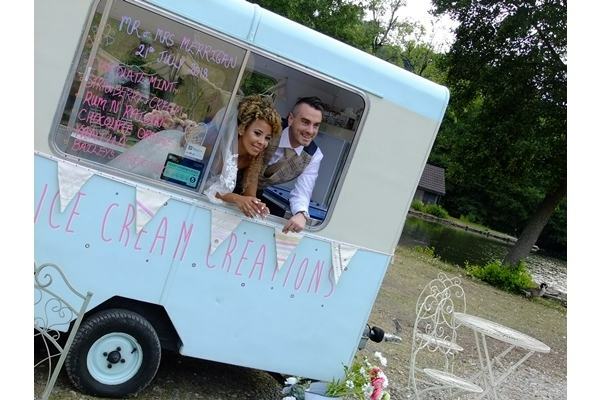 From start to finish the Ice Cream Creations experience was outstanding! 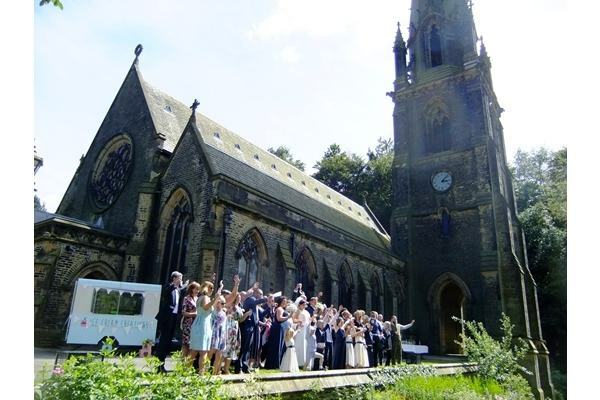 On a very hot summers day their unique and beautiful van "Sophia" arriving was an amazing experience. 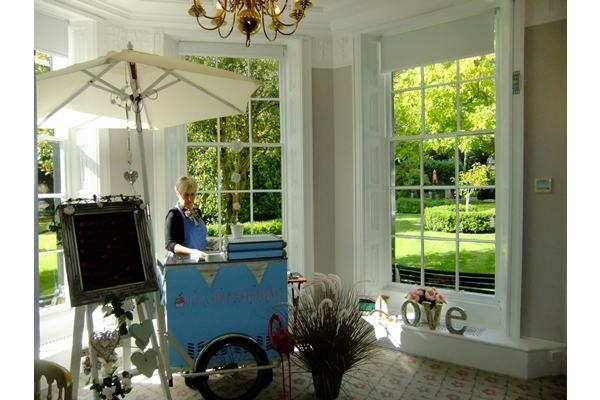 These wonderfully friendly ladies served up the most delicious ice cream (in gorgeous china tea cups) our guests had ever had. 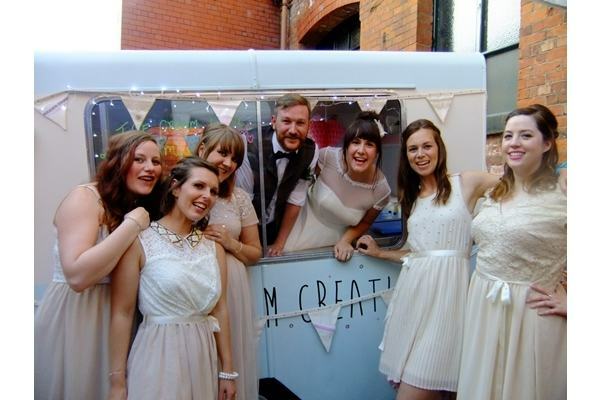 We have had over 200 people commenting on how unique and special the ice cream, the van and ladies were. Thank you so much for being a part of our day and for making everything so stress free and easy. 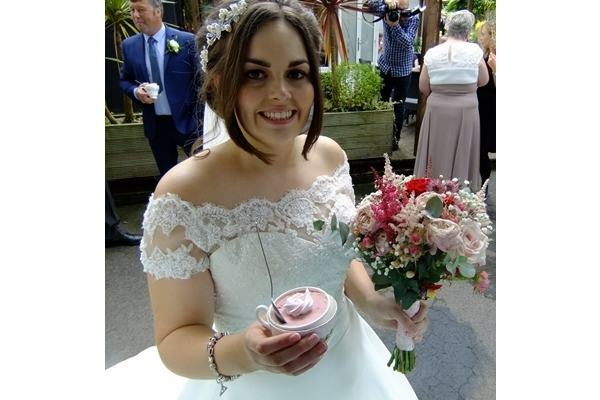 Another thank you for joining in with our wedding hats theme." 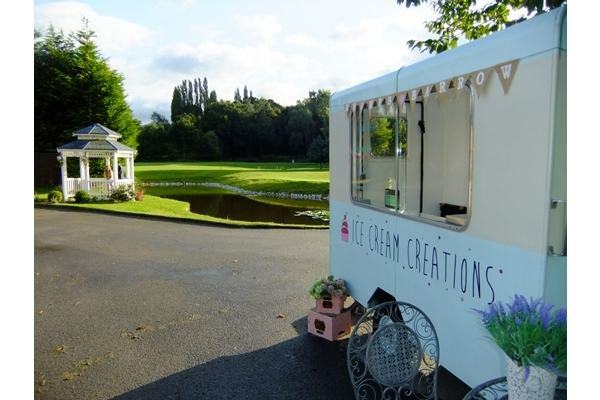 “If you are considering booking Ice Cream Creations for your event then do it! You won’t be disappointed! 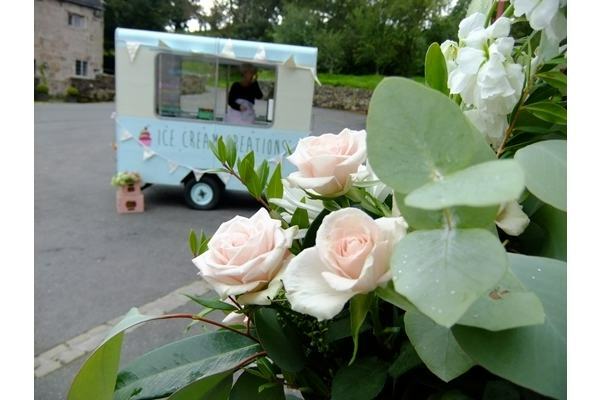 The service is second to none, wonderful ladies and lovely ice cream, served beautifully… what more could you want xxxx"